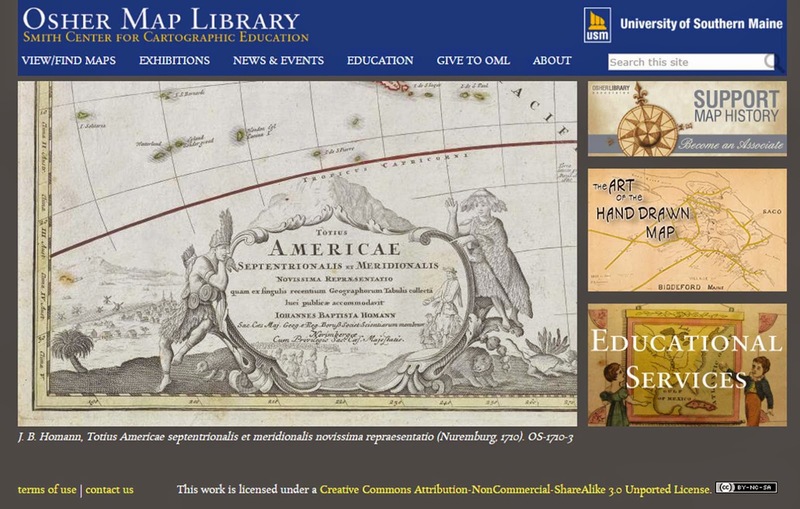 "As an integral part of a comprehensive metropolitan university within the University of Maine System, the Osher Map Library and Smith Center for Cartographic Education [OML] is committed to preserving the cartographic heritage of the state, region, and nation for future generations, and to making that heritage accessible to the University, the people of Maine, and to all other students, scholars, and visitors. It shares its collections through exhibitions and through collaborative efforts with other cultural institutions. It seeks to interpret its collections ~ to make them intellectually accessible"
Reading a Map to Cure Historical Amnesia.